Inverness CT vs Dundee predictions for Saturday’s Scottish Premiership clash. 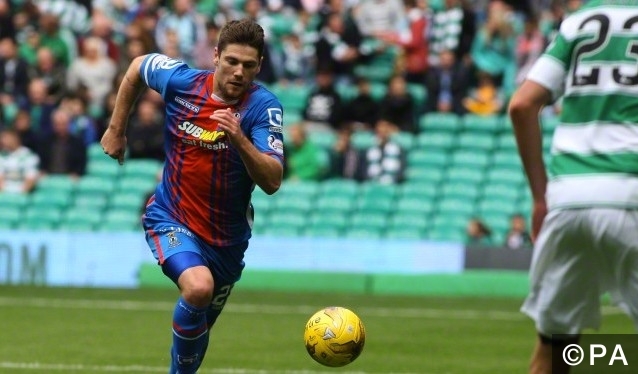 Inverness CT hope to drag themselves off the bottom of the Scottish Premiership. Read on for all our free predictions and betting tips. Inverness CT fell to another defeat on Tuesday as relegation rivals Hamilton Academical turned on the style to beat them 3-0. This makes it 12 Scottish Premiership games without a win, and eight of those have ended in defeat. This makes it no surprise that they find themselves rock bottom of the Premiership table, three points adrift of Hamilton Academical in the relegation playoff position thanks to that midweek defeat. Safety is five points away from them, and at the moment it looks very unlikely that they can dig themselves out of this hole. It doesn’t get much better for Inverness CT at home either, although they have proven more difficult to beat there. They have drawn four and lost three of their last seven home games in the league, although they do still have the bragging rights of being the only side to take a point from Celtic this season. Dundee find themselves in a bit of trouble as well. Their 3-0 loss to Aberdeen last Friday leaves them 10th in the Premiership with just two points between them and the relegation playoff position. The defeat made it five defeats, one draw, and three wins in their last nine games, and in the Premiership they have won five, drawn one, and lost five of their last 11 matches. This is an excellent record considering they started the season by losing seven of their first 11 games. Away from home they are still in terrible shape though, losing eight of their last nine games and only picking up seven points all season. Picking a winner from these two out of form sides is difficult, but we can find some value in the Half markets. Inverness CT have scored 18 of their 26 goals this season in the second half and have conceded more after the break too. The majority of the goals in Dundee matches come in the final 45 minutes too, so backing Half with Most Goals – 2nd at 21/20 looks a good choice here. I’m going for this alongside a 1-1 correct score predictions at 5/1. Inverness CT have won three, drawn three, and lost one of their last seven meetings with Dundee. Right back Lewis Horner and centre back Josh Meekings are out with knee injuries. BIlly McKay and Henri Anier have joined in January too. Dundee are expecting to have a fully fit squad here. Of the 69 goals scored in Inverness CT matches this season, 60% of them have come in the second half. Dundee have seen 52% of the goals in their matches come after the break too.